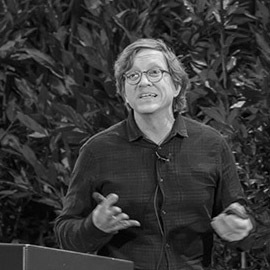 Tim Maudlin (B.A. Yale, Physics and Philosophy; Ph.D. Pittsburgh, History and Philosophy of Science) has interests primarily focused in the foundations of physics, metaphysics, and logic. His books include Quantum Non-Locality and Relativity (Blackwell, 3rd edition now available), Truth and Paradox (Oxford) and The Metaphysics Within Physics (Oxford). Philosophy of Physics: Space and Time is in press, and should be published in 2012 by Princeton University Press. He is currently at work on a second volume for Princeton, and on a large project developing and applying an alternative mathematical account of topological structure. He is a member of the Academie Internationale de Philosophie des Sciences and the Foundational Questions Institute (FQXi). He has been a Guggenheim Fellow. He taught at Rutgers from 1986 to 2011, and has been a visiting professor at Harvard.